The ski season is upon us and whether you cruise the blues or like to tackle black runs, Austria has a plethora of great resorts with aprés-ski options to suit every traveller. But as many will already appreciate – skiing isn’t exactly cheap. So we’ve put together a list of luxury travel tips for an Austrian ski break that won’t break the bank. With bluebird days, some of the world’s best maintained pistes, powder-filled slopes and adventurous off-piste options, to A-frame hüttes dotted amid rugged mountains there’s plenty to entice skiers of all levels. Austria has an excellent track record of providing great value for money with its quality of hotels and resort attractions, picturesque settings and warm welcomes. 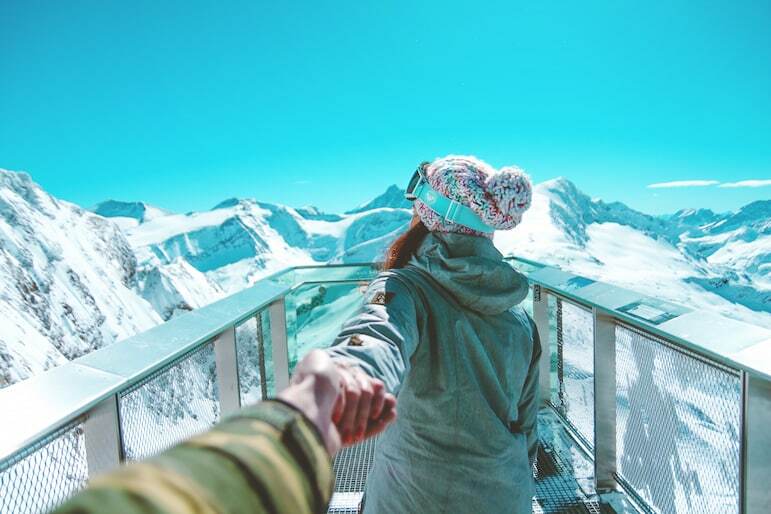 Here are nine money-saving travel tips which will allow you to hit the slopes this season in Austria in affordable style. While the likes of Kitzbühel are always going to be firm luxury favourites, there are other notable slopes you should consider if affordability is ranking high. Söll in the neighbouring ski area of SkiWelt Wilder Kaiser-Brixental, however the Kitzbüheler Alpen AllStarCard covers ten Austrian ski areas including Söll, Kitzbühel, St Johann in Tirol and the recently formed SkiJuwel area of Alpbachtal and Wildschönau. The pass can be used for more than 1,000km of pistes and for £188 for six days, it represents good value and variety. 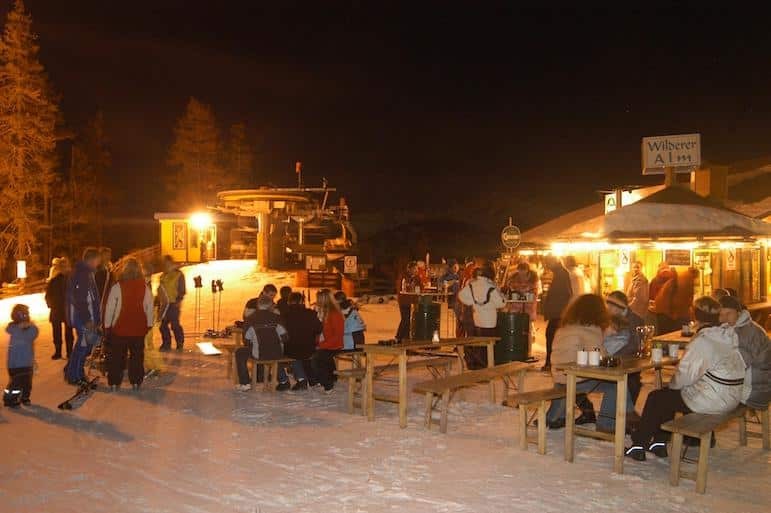 Söll has a lively après-ski atmosphere, but you will need a car or to take the ski bus to get to the slopes which are approximately one kilometre away. You may also want to consider the most popular ski regions which are convenient to get around to obtain the best value. 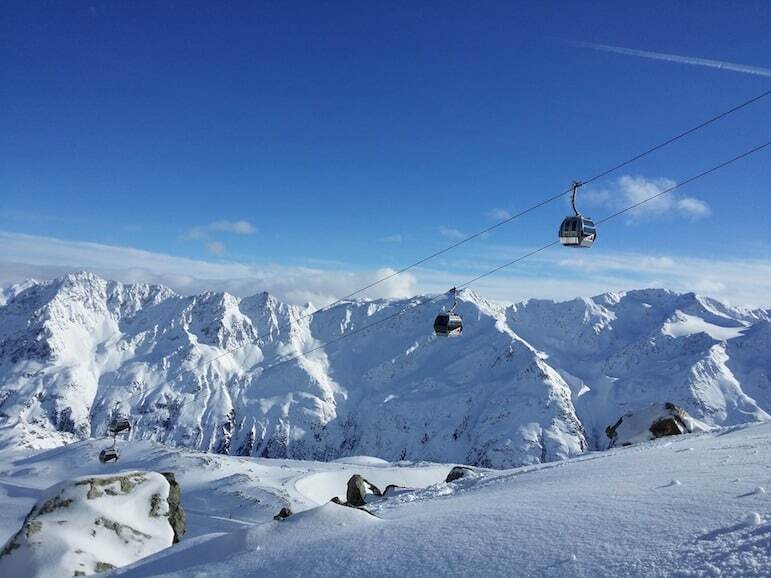 St Anton and Saalbach have undergone major lift investment in recent years which means fewer queue bottlenecks, improved linking and straightforward transit. Meanwhile Alpbach – something of a beginner’s playground – offers low prices, even by Austrian standards, and if you visit during family weeks, under 15s get a free lift pass. Compare package deals versus booking independently. Sometimes resorts offer attractive packages which include lift passes when you book direct with them. Check out these self-catering chalet suggestions for luxury on the slopes. 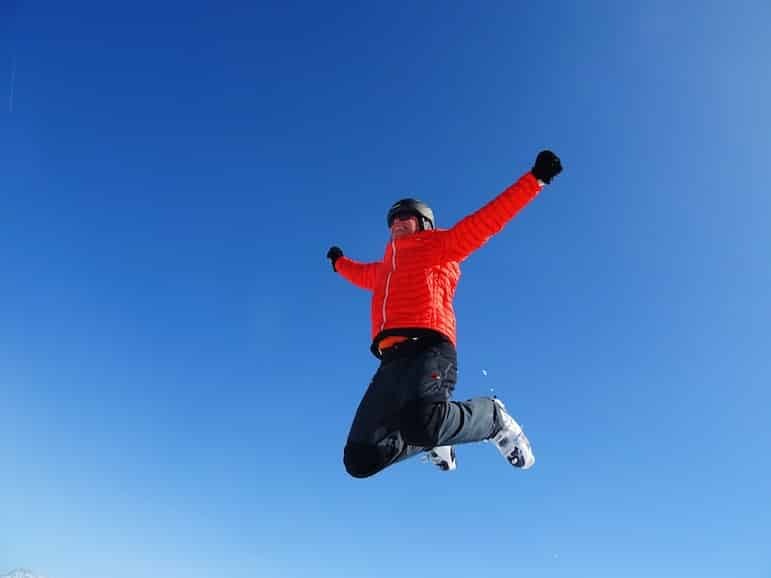 A deal with a ski pass included also means you won’t be subjected to unfavourable shifts Euro exchange rates at the time of travel. Austrian resorts often exceed the standards of value and service often found other countries, and most of the four and five-star accommodations include spa facilities as standard. Service and gratuities are always included in the rates too, so you won’t have additional expenses to consider. Companies such as Crystal Ski offer deals including 2-for-1 on passes, free days, money off and beginner saver packs. The Austrian Alps are credited with a long and lavish snow season which runs well into spring. Looking for deals at the last minute is where you will make the most savings on your ski break. That’s if you’re flexible and can bear to wait until a week before you’re due to travel. There are still savings to be had by booking early – at least six months in advance, but if you can hang on a bit longer then even better. Resorts such as Ischgl in Tirol has slopes over 1,800m high, so the white stuff stays in good condition, especially as the pistes here are north-west facing. It’s also renowned for its opening and closing parties so you’re sure of a good time both on and off the slopes. Intermediate skiers have the Stubaier Gletscher – one of the most extensive glaciers in the Alps, with runs between 2,300m and 3,200m. It also has some fabulous off-piste options too. Nearby, Neustift is a traditional village with a compact area of slopes, plus you have Fulpmes to try out – and your lift pass will cover all three. Elsewhere in Tirol, the ski season in Sölden runs from November to May. With some of the highest pistes covered at least two thirds in snow, you’re sure of good conditions. Kitzsteinhorn in Kaprun, Salzburgerland, is a popular glacier on which you can ski from September to June, so it’s one to look at if you’re planning a trip later in the season. Meanwhile Hintertux in Zillertal, Tirol, boasts year round glacier skiing so may be an option if you’re happy to try its pistes off-season. If you’re unable to plan and book last-minute, fly mid-week, and/or in January or March to save yourself a few extra pennies. Saturdays, December and February are notoriously pricier times in which to travel. Check out Alpine Answers , Ski Total, Zenith, Crystal Ski, and Snowscape to browse and book. The best way to get more skiing for less is if you can travel with a group of friends or family to bag a volume discount. You can book a luxurious chalet or apartment at a cheaper rate than if you were to book as a couple. 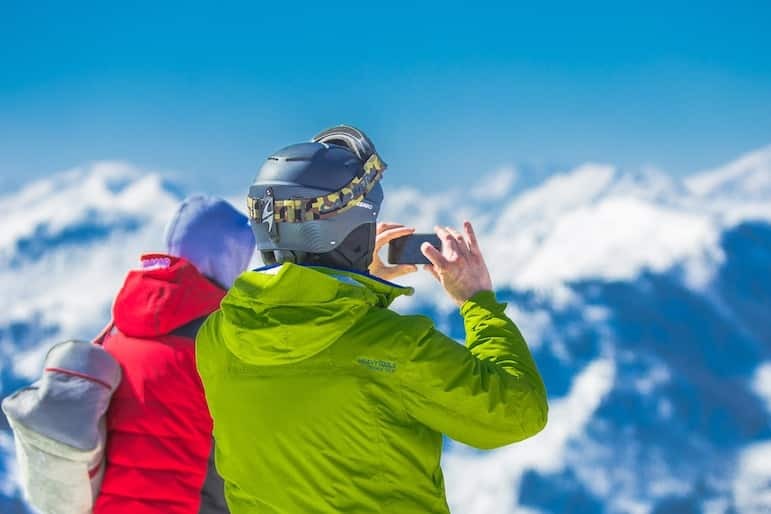 We Ski offers tailormade ski packages and allows you to divide payments and itinerary planning across the group so you don’t have to assign the responsibility and headache to one person. If it’s your first time on the piste, rather than buy your skis and clothing before you travel, contact the resort to hire it all. It will work out cheaper and be more convenient – especially if you discover skiing isn’t the sport for you. 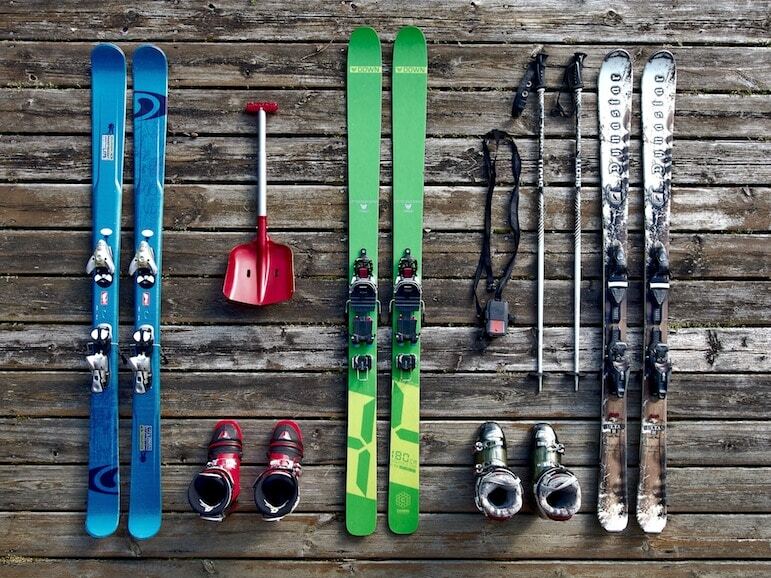 For ski clothes, shop in summer to secure branded options at more attractive prices. Travelling with sports gear can be costly if you go over on your baggage allowance, not to mention being a bit cumbersome. A baggage service such as bagSOLO will pick up your ski kit and transport it to your resort before you arrive. It’s tracked and monitored while in transit so you have peace of mind, and it could save you hundreds of pounds if you go over your allowance. Otherwise, be sure to check your baggage conditions carefully before you book to make sure you’re getting the best value. To avoid any surprise medical bills if you should run into an unexpected accident or injury, check your insurance policy carefully to make sure you are covered for winter sports, and to what degree the policy protects you. Not all policies will cover this so do your research before you book and travel. Also, with some providers, you may need your cover to start from the point you book your package to ensure that you are protected in the event you need to cancel your break. So always read the terms before you click to buy. Paying mountain restaurant prices all the time will soon start to punish your purse. Instead, load up a backpack with goodies for a mountain picnic or rent a locker at the bottom of the mountain packed with some sumptuous treats and a hot Thermos. And remember to talk to chalet or resort staff for insider tips on the best places for happy hour drinks as they can vary considerably. Depending on your après ski style – from a few local beers to all-out partying – you’ll want to find a ski resort to suit. Areas such as St Anton consistently rank high on some of the world’s top ten lists for party animals. January is one of the cheapest months for flights to Austria, with prices ranging on average from £30 to £80 each way. Airlines flying direct include Austrian Airlines, easyJet, British Airways, KLM, LOT and Lufthansa. easyJet has also launched flights from London Gatwick to Klagenfurt, in Carinthia, connecting you to its southern, sunny slopes. Remember to factor in baggage allowances and costs, and pre-book your ski or snowboard equipment to avoid additional charges. 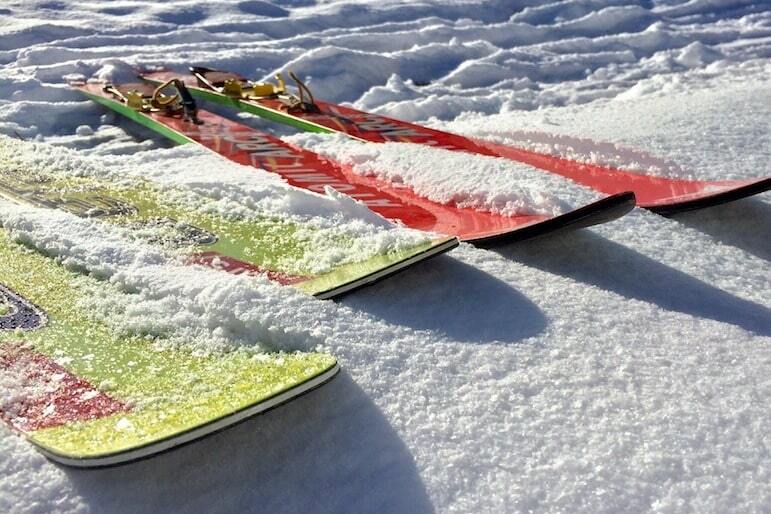 If you’re travelling as a group of three, to save additional baggage fees, test out packing three skis in each bag which will usually fall within the sports baggage allowance. 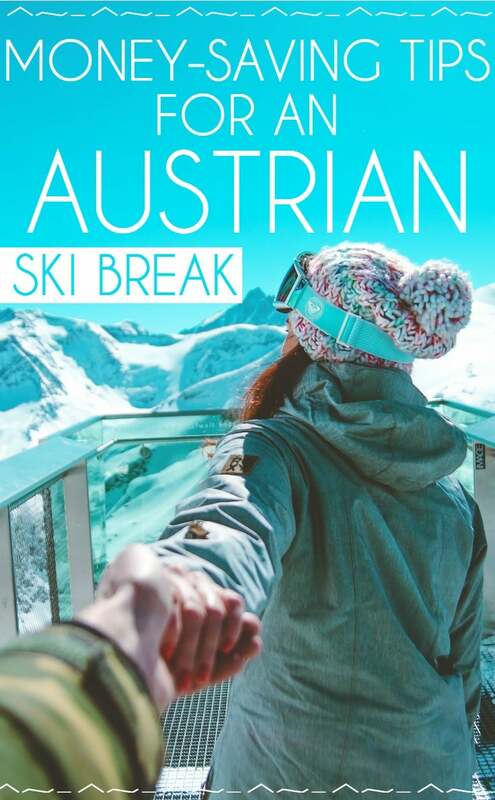 With Austria a short hop from the UK, consider shorter breaks with more time on the slopes rather than a week with days off in between. Plan your airport transfers carefully as taxis can be expensive. Austrian resorts including Kitzbühel, St Anton, Zell am See and Mayrhofen all have railway stations and travelling by train in Austria is largely quick and efficient.